The following Reuters report only tells part of the story. It omits some crucial details. For example it doesn’t mention that the White Helmets were originally founded by James Le Mesurier, a Sandhurst trained former British Army officer who has spent much of his time after leaving the Army in the employee of private mercenary contractors. 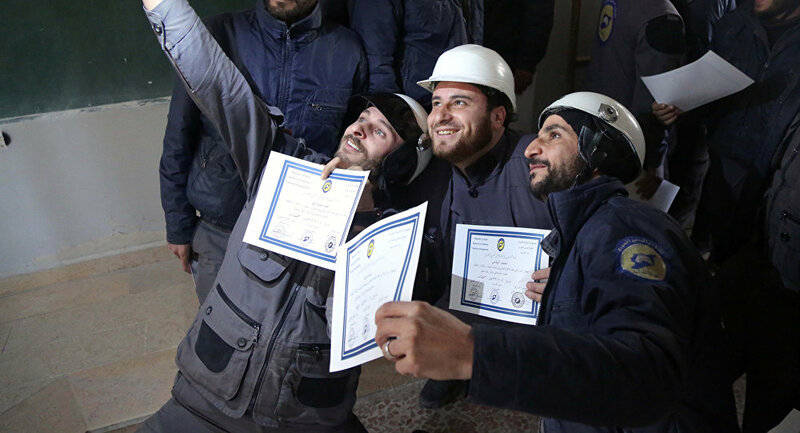 It was Le Mesurier who first conceived of the White Helmets operating in the guise “civil defence workers” and since their creation they have received much positive press coverage in the West. However, like the Reuters report below, little mention has been made in the corporate media of the White Helmets known ties with extremist groups. 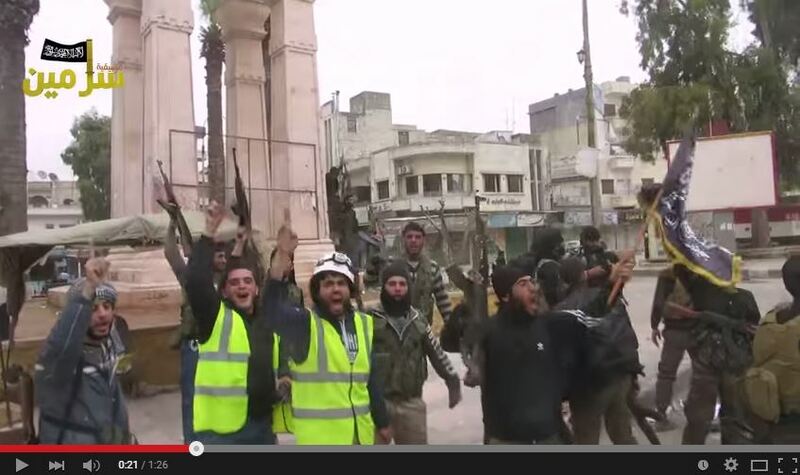 They have in fact been caught on camera cheering public executions by Al Nusra militants in Syria. When not celebrating the execution of Syrian Army soldiers they have been working, in effect, as a propaganda arm for al Qaeda. None of this is mentioned in the Reuters report below, which also doesn’t mention the millions, possibly hundreds of millions, the UK is reported to have given in support of the White Helmets and their militant allies. In March this year, the Trump administration suspended $200 million in aid to Syria, including aid to the White Helmets, while it reassessed the situation on the ground. At the time Trump announced that he was thinking about withdrawing U.S. forces from Syria. Trump seems to have dropped those plans and along with preparing for a longer stay in Syria the U.S. president has also announced renewed funding for what is, in effect, the militants propaganda actors, the White Helmets. So we can expect more of those stage-managed “rescue” operations, where the White Helmets are filmed tending the victims of alleged Syrian government forces attacks, thus helping portray Assad and his Iranian allies as the bad guys. All funded courtesy U.S. and British taxpayers. Finally, this needs to be seen in context. What is happening in Syria is part of a much bigger and much darker agenda. On the one hand we have Western governments covertly funding groups committing terror and displacing millions in the process. On the other hand, billionaires like George Soros are using their wealth to help to facilitate the migration of those millions displaced into Europe. This isn’t a coincidence. While one pushes, so to speak, the other pulls. The end result is chaos and, as the saying goes, “out of chaos a new order is born”. This is how oligarchs like Soros are working to create a New World Order.Ed. WASHINGTON: The United States will release $6.6 million to a Syrian group that rescues civilians caught up in fighting and a United Nations group that monitors human rights abuses, the State Department said.